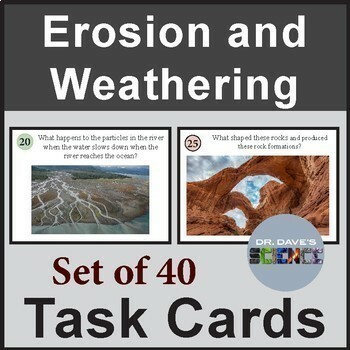 A set of 40 task cards on erosion and weathering. 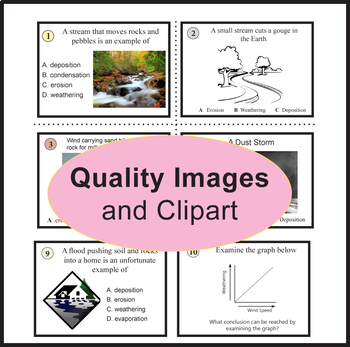 These task cards contain high-resolution photos or clipart and can be used for independent practice or whole-class review. 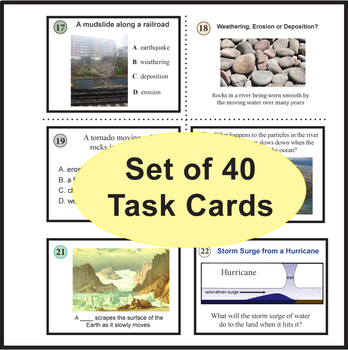 Student answer sheet and key included.